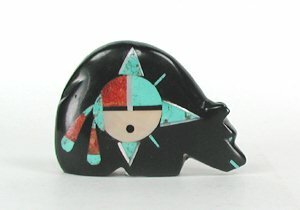 Andres Lementino's work is featured in Zuni Fetishes and Carvings by Kent McManis. "What an amazingly wonderful bear! 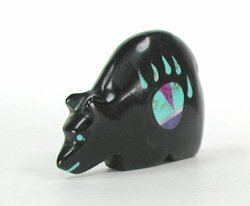 One side has an inlay sunface of turquoise, spiny oyster and mother of pearl. 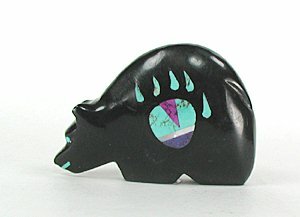 The other side has an inlay bear paw of turquoise accented with two hues of sugilite and a band of mother of pearl. Big Medicine!" 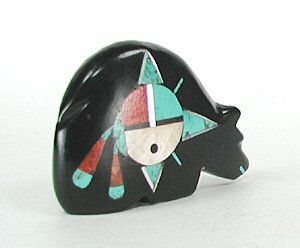 Eyes and mouth of inlaid turquoise.